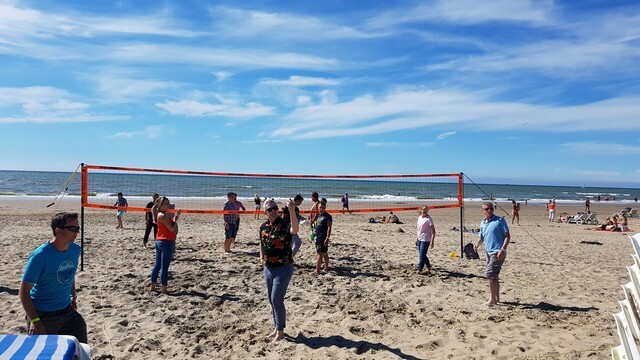 Due to the heat some participants opted for cold drinks and the sun chairs of Bloomingdale Beach, while watching their colleagues have fun on the volleyball field. We appreciate the energy and team work we witnessed on the field. Big shout out to all of our participants! We hope you enjoyed the dinner provided by Bloomingdale Beach and hope to see you all soon! Cheers!